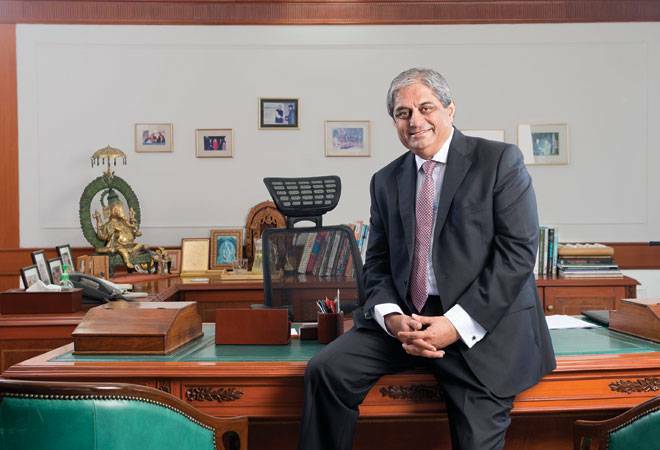 Aditya Puri, the longest-serving CEO of any bank in India, is laying the foundation for transforming the 21-year-old institution into a digital bank. The emotional connect with bank branches is gradually vanishing. How will you continue to connect with your customers in a digital world?" This question was put by Ranjan Kapur, the Country Manager of global communication giant WPP in India, to Aditya Puri, Managing Director of HDFC Bank, at a dinner. Puri was speechless. Kapur, an advertising industry veteran, planted in Puri's mind the idea of using music for branding. The next day, at the sixth floor of HDFC House in central Mumbai, Puri called the bank's senior management for a meeting. "We all agreed," says a beaming Puri, with childlike excitement. The next quick meeting with Kapur and his boss Sir Martin Sorrell, the founder of the UK-based WPP, led to the idea of using music for emotional connect with customers. Standalone data, net of extraordinary income and expenses. "Our customers now hear a distinct tune at our digital touch points. The idea is to ensure emotional engagement," says Puri. The bank calls it "sonic branding" or the "musical logo." Sitting in the boardroom of the HDFC headquarters, his enthusiasm is palpable. The 65-year-old Puri, while intermittently humming the tune, says the music being used is just right for communicating the bank's characteristics. "If you look at raga shuddh kalyan, it is for care and creativity. If you look at raga bilawal, it is about moving in a dynamic manner and keeping with the times." He then goes on to provide intricate details about musical instruments right from the traditional sitar to the modern guitar. Puri, the longest-serving CEO of any Indian bank so far, is as involved in new ideas as he was two decades ago when the fledgling bank kicked off with corporate banking, in a world totally dominated by government banks. The kind of numbers Puri has delivered, and that too in a sustainable manner, during these 20 years can be the envy of best bankers in the world. In the last decade, when the economy went through two cycles of boom and bust, the bank grew its deposits from Rs 55,796 crore to a staggering Rs 4.50 lakh crore. The loan book swelled from Rs 35,061 crore to Rs 3.65 lakh crore. Assets went up from Rs 73,506 crore to Rs 5.90 lakh crore, and profits from Rs 871 crore to Rs 10,216 crore. In fact, the bank, 22 per cent owned by mortgage lender HDFC Ltd, has gone past the parent in revenues, profits and market capitalisation. Investors, too, could not have asked for more. The bank, according to estimates, has given a return of 15,000 per cent during the years that Puri has been at the helm. During Jack Welch's two-decade tenure, GE had returned 5,500 per cent. Under John Chambers, the Cisco stock had risen 271 per cent during the nearly 20 years that he was at the top. Puri clearly stands out in the number game. The reason for this success is the carefully laid out strategy, best described by the Chinese proverb - crossing the river by feeling the stones, that is, cautiously. The bank kicked off operations in early 90s with focus on high-end corporate clients. Once it successfully served the most demanding customers, handling mid-corporate and SME clients was easy. Similarly, it started retail lending with loans against shares and later credit cards, which it first issued to its own customers to mitigate risk. The rural expansion took place after extensive testing of focused products such as gold loan, kisan cards and two-wheeler loans, and after it got the operating model right. Similarly, the digital plan is being rolled out by changing the entire operating model and not just front-end products. Times Bank Ltd, another new private sector bank promoted by Bennett, Coleman & Co, merged with HDFC Bank Ltd, in February 2000. This was the first merger of two new generation private sector banks. 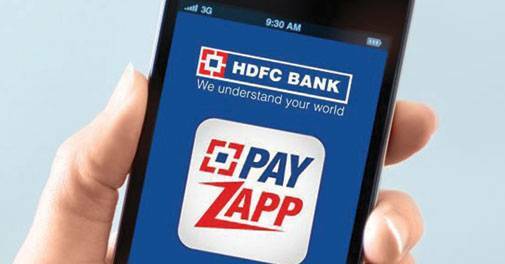 Launched mobile app Payzapp for online payments & money transfer early this yearThe long innings and track record put Puri in the league of successful global CEOs such as JP Morgan's Jamie Dimon, Cisco's Chambers or GE's Welch. On this, he says, "I think one must understand that a CEO is only there till he can perform. The length of tenure is not relevant. "In India, Puri's long innings at the top is matched by that of ITC's Yogi Deveshwar and L&T's A.M. Naik. But he stands out in that he built a bank with assets of Rs 5.90 lakh crore from scratch. All this leads up to the question - how does Puri gear up the entire organisation for achieving these goals? "There is a vision in place. This vision is turned into a strategic plan, which is then converted into an action plan. The entire organisation marches towards achieving the objective," says Puri, who also drove HDFC Bank to acquire a couple of banks for achieving scale. While he is a tough task master, his management style is collaborative. That is why despite several high-profile exits at the senior level, the bank has never looked shaky. 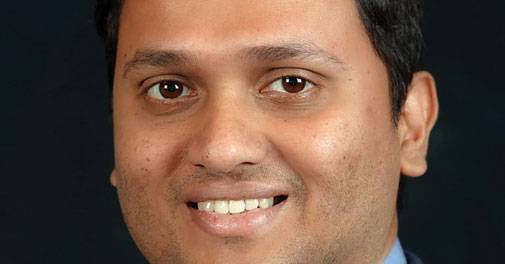 Neeraj Swaroop, who was heading retail banking, was poached by Standard Chartered to head its operations in India. Samir Bhatia, who was looking after corporate banking, joined Barclays. Shailendra Bhandari joined ING Vysya Bank. More recently, Yes Bank hired Pralay Mondal for setting up retail banking operations. This does not bother Puri much. "If you don't get fresh blood, the place becomes stale. And if people are not hiring from you to make them CEOs, you don't have a good management team." Now that the bank has gone from start-up to growth and now to the stable growth phase, what next? To this, Puri says that nothing in this world remains static. "If you lose your innovativeness and desire to grow, you will become small very fast." He is nowadays busy tapping rural demand and working on digitisation for the next phase of growth. Already, the bank's 55 per cent out of 4,000-plus branches are in rural and semi-urban areas. The biggest challenge for Puri is to increase the revenue share of these branches from the current level of 15 per cent. This will not be easy due to the tough competition from small finance banks in rural areas. The new payments banks, too, will prove to be a hurdle. However, in terms of mind space, Puri is more immersed in the digital strategy as the new operating model will also increase the bank's reach in rural and semi-urban areas. According to data, 85 per cent transactions are already taking place through non-branch channels such as ATMs and internet. The bank has a customer base of 12 million and close to 12,000 ATMs. Mobile banking and internet banking account for 55 per cent transactions. Reacting to the competition from non-banks such as Paytm in the digital payments space, the bank has launched its own mobile wallet for online transactions and money transfer. "The network (telecom, social media and digital) has allowed you to change the business model completely by removing the need for physical transfer of documents. It creates information around your customers that, if analysed, can improve customer segmentation and help us deliver more relevant products to customers," says Puri. That is why the bank lapped up Chillr App when the Kochi-based founders approached the bank. "HDFC Bank was actually the 14th bank that we approached. The private sector bank turned out to be more nimbler than many other banks ," says Sony Joy, the Co-founder of Chillr. Chillr App allows customers to send money immediately to anyone by using the mobile phone book. Puri's work has been appreciated by none other than JP Morgan's Jamie Dimon. "Aditya, you probably may be better or on a par with us," he told Puri at a recent JP Morgan conference. The changes in the operating model have allowed the bank to offer a personal loan in 10 seconds to its existing customers based on a back-end analysis of their creditworthiness. Similarly, a car loan is processed in 30 minutes. Puri has also set up a shopping portal, Smartbuy, on the lines of a similar product by a Chinese bank, to tap opportunities in the e-commerce market. The bank assists in the payment and customer origination. "We don't charge any distribution commission. Instead, our customers gets discounts from retailers," he says. The bank has an inherent advantage in this area - 50 per cent online payment gateways belong to HDFC Bank. Also, 37 per cent e-commerce transactions in the country take place through its debit and credit cards. When asked about how much technology he uses in his day-to-day life, he shoots back, "Do you know the difference between a chef and a cook? I'm a chef, not a cook." This chef's job is making sure that people are empowered to do their job. As banking is moving to the digital world, bankers across the world are experimenting with hundreds of ways to bank right from watch banking to card-less credit card to digital-only branches. This ex-Citibanker, who loves gardening, may have got his ragas right, but it is now for customers to judge whether the bank has also got its melody and rhythm right in this fast-changing world.